Locally, Xiaomi already wrapped up their second wave of Mi 3 online sale in partnership with Lazada. In recent reports, the first wave pitched 3000 units in an hour while the second leg managed to sell out 1300 units in the same timeframe. On a larger scale, the Chinese company is boasting over 10 million of Mi 3 units. And to celebrate this milestone, the Chinese giant released a ‘Champagne Gold” variant of he said flagship as a special edition device. The gold configuration is currently exclusive in China but global rollout is set to come later. But considering the Redmi maker’s expansion plans, there’s a fair chance that we’ll have the golden Mi 3 here in the Philippines. 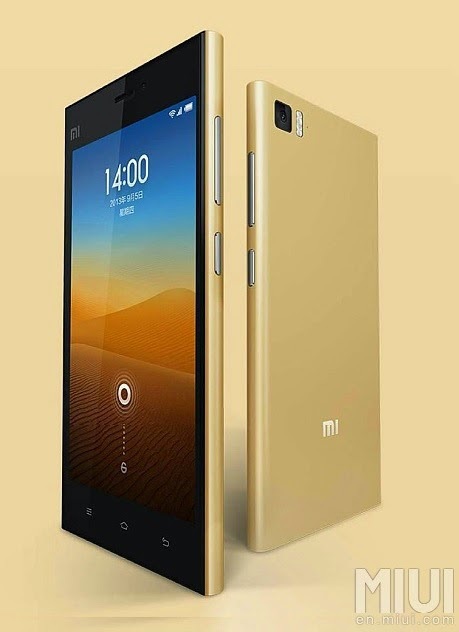 The gold Mi 3 is priced at CNY 1,499 for the 16GB version. In local estimates, it will hit around Php 10,500. But for those of you who can’t wait for the gold option, the white, black, blue, yellow and pink versions goes on sale from time to time.